If you’re rethinking your Spring Break family vacation plans due to the low Canadian dollar, you’re not alone! Choosing a spring break destination in Canada instead of pricier US destinations like Florida or California is a good way to save on trip costs and travel insurance for Canadians, and still enjoy a great March break. Why not choose British Columbia, Canada’s California, as a home-grown spring break staycation? 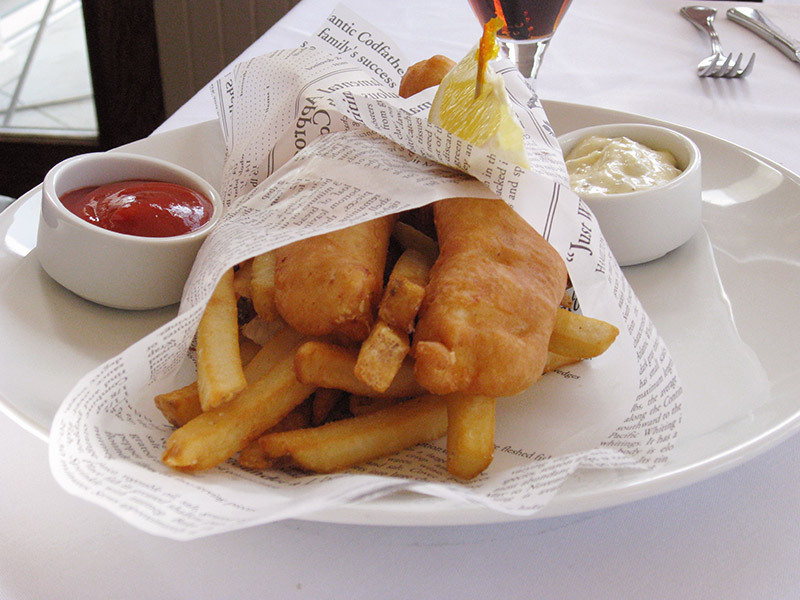 Enjoy some BC fresh fish and chips on the beach. March weather in some parts of BC can be downright balmy (compared to the snowstorms of Central and Eastern Canada that is). March temperatures in BC can be in the high 10s, and many regions never see a snowflake! It’s no coincidence many schoolkids walk around without socks, wearing only light jackets. For most travel BC destinations, be sure to pack sturdy umbrellas and waterproof footwear. Unless you’re purposely heading to a ski resort or a high altitude location, snow is extremely unlikely. If you’re lucky, you might even even catch Vancouver’s cherry blossoms at the end of March break. If a desert with dry weather is your thing, try BC’s Okanagan valley. The Naramata Bench, Oliver’s Golden Mile (famous for wine tasting), renowned golf courses and not to mention watersports on the many Okanagan lakes, can ensure your family has many warmer weather activities to stay busy and maybe even catch a bit of sun. The Okanagan region is a good place for shorter road trips too. You might even want to rent an RV and take off from there across BC. Skaha Bluffs Provincial Park. Keep an eye out for mountain goats, friendly deer and rock climbers! Your family can still enjoy spring break sand and surf in Canada instead of an expensive US beach getaway. Pacific Rim National Park is arguably one of the most majestic spots in the country. Nearby towns of Tofino and Ucluelet, and proximity to Long Beach are world-famous destinations with a ton of family friendly activities and accommodation, for any budget. Stay right on the beach and rent an affordable cabin for the whole family, but be sure to pack your rain gear! You’ll need it for storm watching, whale watching and exploring the rainforest. March break is a great time to try surfing or take a family surf lesson too. Tofino’s water temperature doesn’t vary that much throughout the year. It’s not as cold as you think with the proper gear! With a rented wet suit, you can still enjoy the surf. 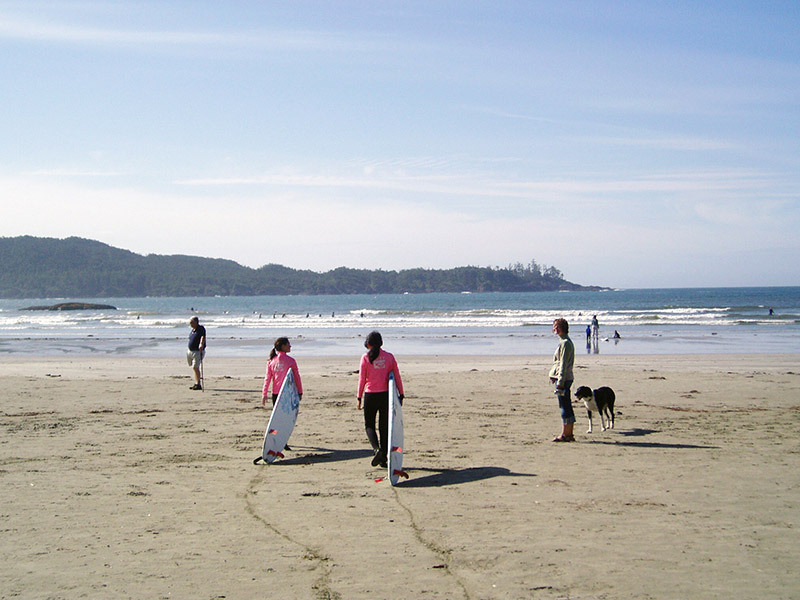 Take the family to Long Beach or Chesterman Beach in Tofino on Vancouver Island for a family surf lesson. Wet suits are a must! Flights to Tofino tend to be infrequent and expensive, and the small planes aren’t always a good fit for families, so the ferry is a popular option. Most travellers who come from Vancouver take the Horseshoe Bay ferry to Nanaimo, then drive “up Island”. The road can be difficult between Port Alberni and Tofino, so try to plan to travel during the day (and bring Gravol if your little ones tend to get carsick, the road is full of curves!) You can also fly into Victoria, and then drive up island in a rental vehicle, but you’ll miss the BC ferry experience. 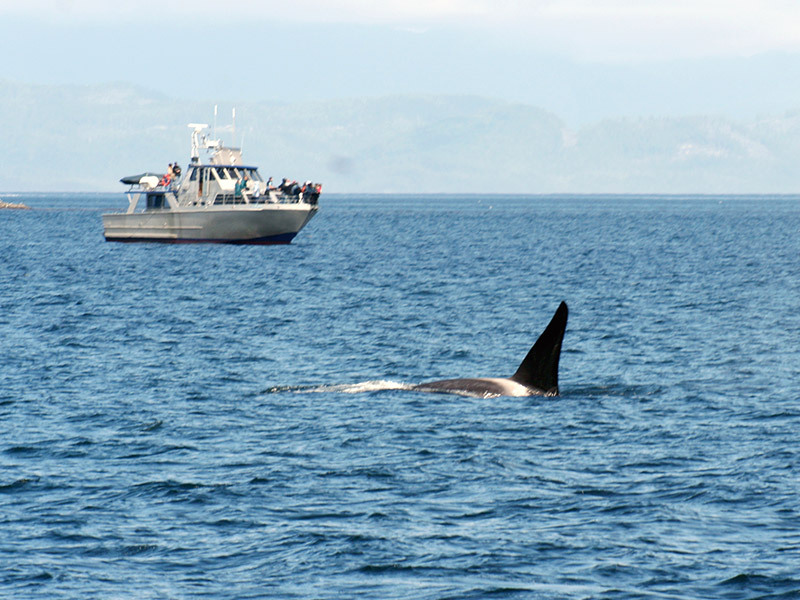 The early morning ferry is your best chance to see resident orca pods, many with new calves! While everyone else is taking selfies off the bow of the ship, peer over the edge and you’ll likely see seals, sea lions, and maybe even an otterwhile crossing through Active Pass. Do some island hopping through BC’s Gulf Islands— the ride is so lovely! It’s worth going to Saltspring Island alone for the Saltspring Island Cheese and the island’s fun Saturday market. Reserve your spot on the boat in advance with BC ferries or allow several hours to make it on the sailing. Sailing waits can be long during March break, even with extra sailings, so build that into your itinerary. Seeing orcas in their natural habitat is an unforgettable experience. Pick from one of many family-friendly whale watching tours from Ucluelet or Tofino harbours. Skiers and boarders alike will find it hard to choose between the many top-notch BC skiing resorts. This year is a good snow season for Vancouver’s North Shore Mountains, which are perfect for beginners, or families wanting to do some night skiing while visiting Vancouver. For more serious skiers and boarders, Whistler Blackcomb is a must if you haven’t been there yet, but there are many other options equally thrilling and challenging, if you find Whistler’s prices and booked-up accommodations unappealing. 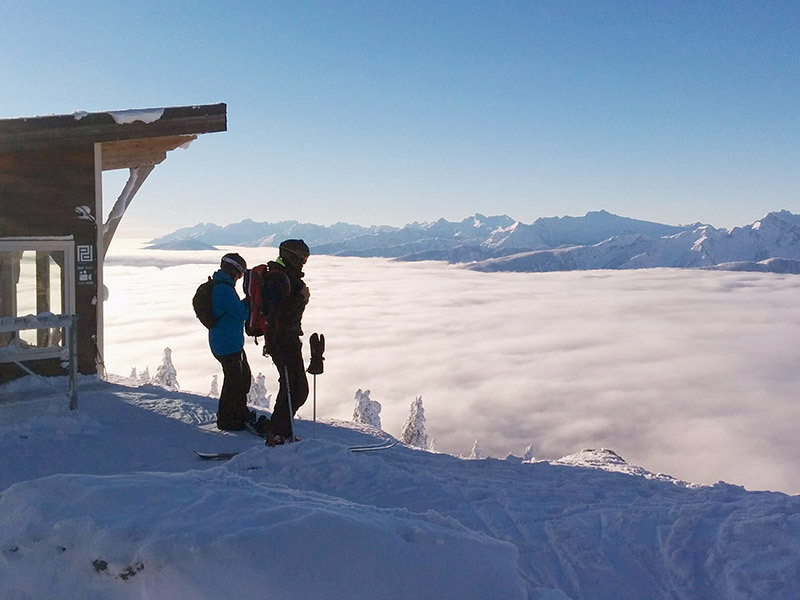 Ski and board above the clouds at the top of Revelstoke Mountain Resort’s (RMR) Stoker chair. RMR is a great place for families who are more advanced skiers and boarders. Advanced skiers might want to try Revelstoke Mountain Resort (many Quebecers seem to have uncovered this secret)! With mostly advanced blue and black diamond runs, and the longest vertical descent (1,713m) of any resort in North America, but with only 2 gondolas and 2 lifts, there’s less chance for families to get split up or lost on the runs. Revelstoke’s town centre is pretty quaint too, offering great accommodations and family-friendly restaurants nestled in the Monashee Mountains and close to the famous Rogers’ Pass. BC Interior: Big White is considered one of Canada’s top family-friendly resorts, and has great ski-in, ski-out accommodations too. Off the beaten track: Whitewater Ski Resort in Nelson, BC, of the Whitewater Cookbook fame, is another great option for the powder-hungry, and great for road-trip experienced families. 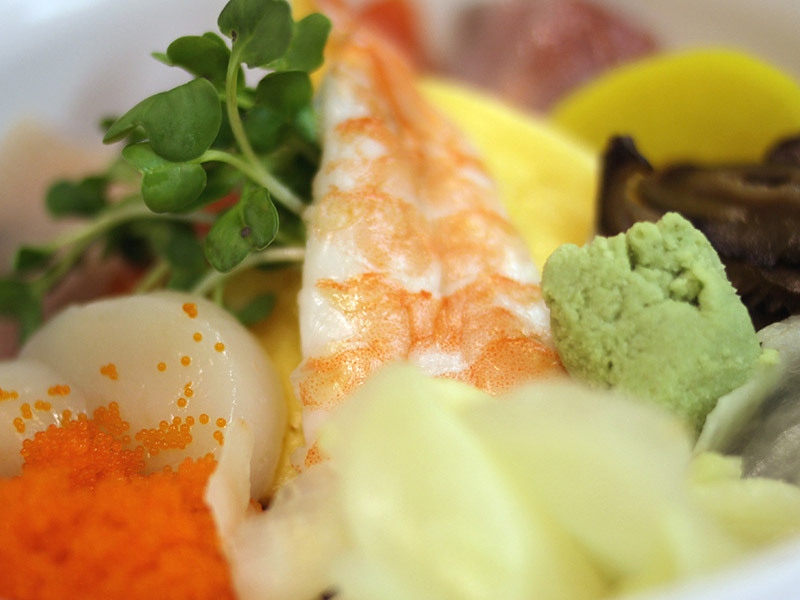 If you and your kids love good food and discovering new restaurants, Vancouver has so many options, with fresh seafood, and sushi that rivals Japan’s. If you have younger children, a few easy searches will give you a myriad of kid-friendly restaurants. Indian food (and fans of Dragon’s Den): Rangoli, next to the famous VJ’s restaurant, is a cheaper, more family friendly option, and is usually faster to get a table. Expand your family’s palette and try some sushi beyond the usual California roll. You’re very likely to encounter rain in BC during March Break, but there are lots of indoor activities to keep the kids (and you parents) busy. Choose your rainy-day activities ahead to look for coupons or family discounts, depending on whether your family is interested in art, culture, history, science, industry, etc. Artifacts from the salmon fishing and canning industries in Steveston Village’s Gulf of Georgia Cannery Museum, a Parks Canada site. Are arts and hands-on crafts your thing? Visit the Vancouver Art Gallery– they have great kid centered activities during March break. Does your family love stories and learning about other cultures? Reinforce social studies lessons and visit the Royal BC Museum in Victoria (the Woolly Mammoth is a local favourite) and UBC’s Museum of Anthropology. 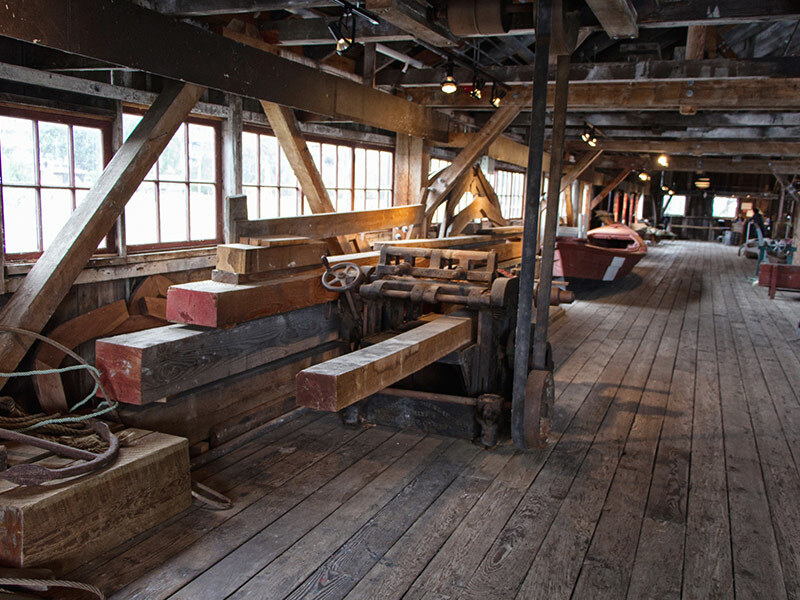 Also visit the Gulf of Georgia Cannery National Historic Site and nearby Britannia Shipyards National Historic Site in beautifully quaint Steveston village in Richmond, which offer an exploration of West Coast fishing histories. For the curious and factoid lovers: Science World at the end of Vancouver’s gorgeous False Creek is fun and educational for all ages. Get family fit (indoors): Take the family to one of the many climbing or bouldering gyms, or try swimming or skating at one of the Olympic sites like the Richmond Oval, just 20 min from Vancouver. Thinking outside the box can help you escape the doldrums of winter and stick to your spring break vacation budget. Spending March break in Canada might be the perfect alternative so you can still get some needed fun-in-the-sun and family time. Whichever March break vacation you choose, remember your travel insurance! Even if you’re staying in Canada for spring break, you’ll need travel insurance to fully protect your family outside your home province. Check out the Explore BC website for more BC staycation ideas for your family March break. Do your kids or teens have smartphones? Get them researching on the Near ME BC Travel App! Have a great March break, and happy travels!